Montgomery Women's Facility – Reaching out to the families of those incarcerated at Montgomery Women's Facility, Alabama. U.S District Judge Myron Thompson is hearing testimony on whether the state has adequately responded to 15 suicide deaths in the past 15 months. The state’s liability for those suicides and others has been the subject of a protracted legal battle dating back to June 2014. A lawsuit challenging the conditions and treatment of mentally ill inmates was initially filed against Alabama prison authorities by the Southern Poverty Law Center and the Alabama Disabilities Advocacy Program. It has since been amended. Attorneys for Alabama said prison officials have a plan for reducing inmate suicides. Inmates’ lawyers argued that the steady pace of suicides indicates that the state’s proposed reforms need monitoring. The trial is expected to last several days, according to The Associated Press. In June 2017, Judge Thompson ruled that Alabama’s prison system had violated inmates’ constitutional protections against cruel and unusual punishment. Placed seriously mentally ill inmates in seclusion without considering the impact of those circumstances. “Simply put, ADOC’s mental-health care is horrendously inadequate,” Thompson concluded. In an editorial, ADOC Commissioner Jefferson Dunn said overcrowding and understaffing are a “two-headed monster” that hinders reform. He also said Alabama will borrow $800 million to build four new prison facilities. We greet Gov. Ivey’s announcement about her plans for the Alabama Department of Corrections (ADOC) with hope mitigated by concern. We agree with many of the governor’s observations and are encouraged by her acknowledgment of the crisisAlabama is facing. She’s right that any solution to Alabama’s prison crisis will require increased correctional staffing, which has been mandated by a federal judge. At least some of the existing prisons should eventually be replaced with facilities that promote constitutional conditions and provide prisoners with access to rehabilitative programming. Gov. Ivey is correct that 95 percent of the people in ADOC custody will eventually return to their communities, and providing them with more opportunities while incarcerated to become productive citizens upon release is in both their interest and that of the taxpayers. However, we are concerned that the governor’s plan fails to address the roots of Alabama’s prison crisis. Alabama continues to incarcerate its people at among the highest rates in the nation, and has drastically overcrowded prisons as a result. Alabama passed sentencing reforms in 2015 but left multiple opportunities to safely reduce the prison population on the table. Neighboring Southern states have moved forward with reforms like minimizing criminalization of marijuana related offenses and increasing threshold amounts for property related offenses that Alabama could consider during the forthcoming session. Implementing these reforms could help reduce Alabama’s prison population from the 160 percent of capacity it is at now to levels that will be safer, more manageable, and less costly to the state. The governor and Legislature should investigate these cost-saving, public safety-improving measures with at least as much zeal as they are pursuing a costly prison construction plan. We are also gravely concerned that the governor’s budget proposal to fund 500 correctional officers falls terribly short of the steps necessary to comply with the federal court’s order that ADOC hire approximately 2,000 correctional officers by 2022, nor does there appear to be a concrete plan for compliance with the court’s order. Most pressing of all is the staggering loss of life happening within ADOC prisons right now that a multi-year prison construction plan will not solve. Gov. Ivey’s request for proposals does nothing to address the suicide epidemic or the pervasive violence that endangers both officers and incarcerated people daily and is currently under active investigation by the Department of Justice. To end Alabama’s prison crisis, Gov. Ivey and Corrections Commissioner Jeff Dunn must engage with advocates to negotiate a comprehensive solution that addresses all of the factors contributing to this crisis by adopting sentencing reform, increasing staffing and decreasing violence, and providing medical and mental health care – in addition to brick and mortar construction. We stand at the ready to work with the governor and the commissioner, and extend an invitation to them to collaborate with us on this endeavor to craft meaningful Alabama solutions. BIRMINGHAM, Ala. (AP) — Alabama legislators have put a temporary hold on a $10 million contract between the state Department of Corrections and a company that could analyze prison needs and design new facilities. Al.com reports the Legislature’s contract committee paused the plan Thursday amid questions about its reliability, considering construction plans for new prisons failed in 2016 and 2017. Corrections Commissioner Jeff Dunn says planning for new prisons is a better use of tax dollars than putting more money into older prisons that need to be replaced. He says it would cost about $1 billion to build three new regional prisons, including one that can accommodate inmates with high-need mental health issues. 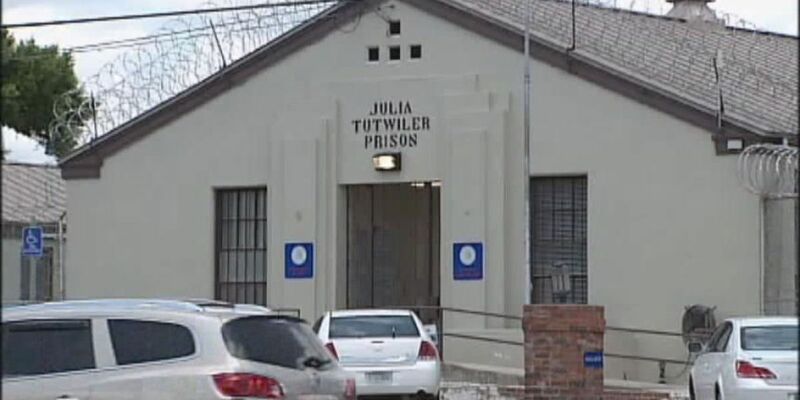 One committee member said the Legislature is unlikely to pass a $1 billion prison plan.